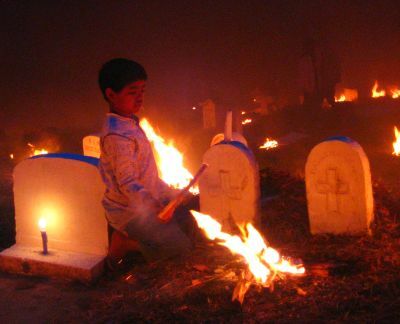 A unique Sagadan tradition, aptly called the Festival of Lights, where locals honor their dead on the eve of All Saint's Day (should it really be on All Souls Day?) 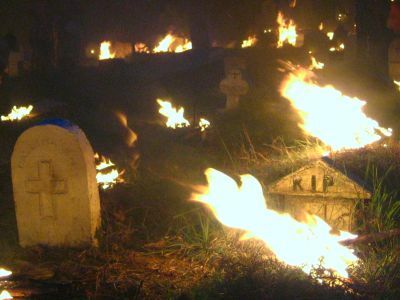 but instead of burning candles, they set on fire bundles of pinewood. It's simple explanation-- candles weren't available to the highlanders so they thought up of something to make up for it. 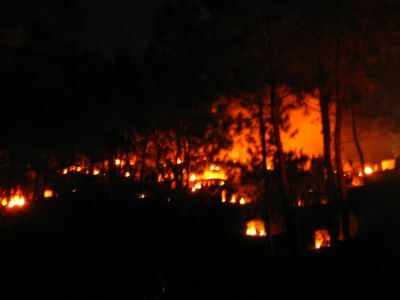 From afar, it looked like a smoldering forest! So eerie and surreal! You are so lucky to have witnessed this! Ei! We posted the same thing on halloween. Hehe. 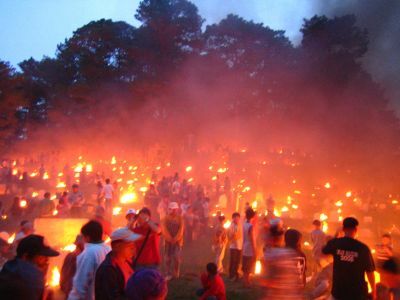 I've been to Sagada but I did'nt know they have event such as that.It's so cool!KAWAII!!!! this is indeed something. very haunting yet beautiful. 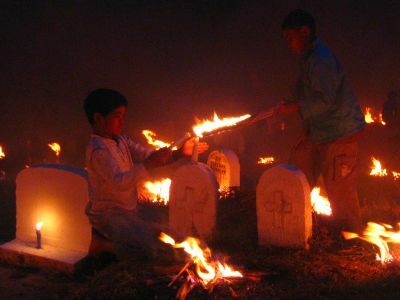 I haven't heard of Sagada's Festival of Lights...it's beautiful. 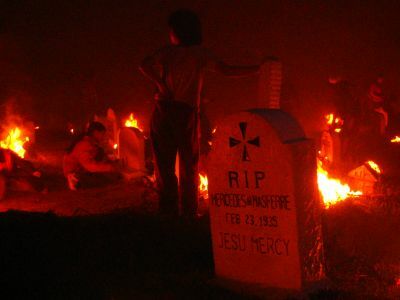 I miss Sagada, I love the place especially when it is still unpopular to the local tourist. 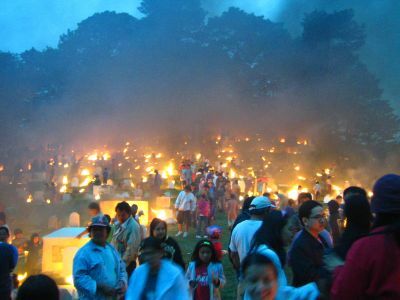 we went to baguio once at all saint's day and we happened to pass by a cemetery and observed this. guess we were lucky.